WhatsCall app is one of the most reliable calling apps for national and international for both mobile and landlines. WhatsCall is also offering free credits for its users. You can use WhatsCall free credits to make an international call. 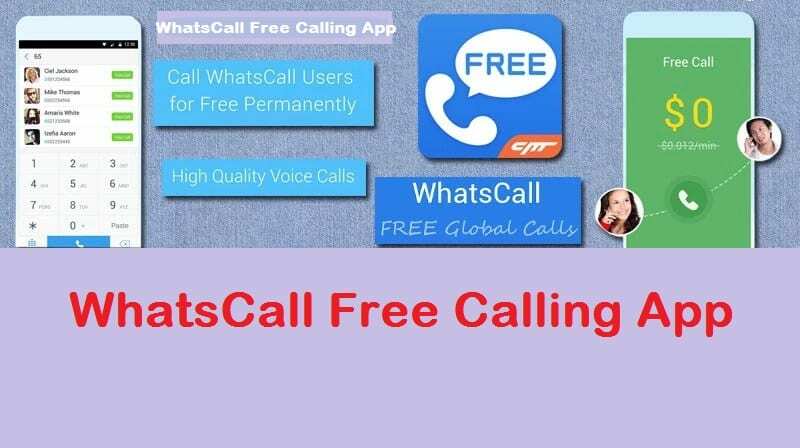 WhatsCall is free calling app which allows you thousands of calling credit with simple activities. How to get free calling credit in WhatsCall? With the very simple activities, you can earn much credit for your WhatsCall account. You will get 1000 calling credit when you sign up to WhatsCall app. If you install different useful apps, you will earn many more hundreds of credit to make a free call. 100 credits will be awarded for each day checking in and 1000 credits for checking in 7 days a row. If you invite your friend to WhatsCall you will 1000 calling credit after your friend signup for WhatsCall app. Where can you call free from WhatsCall? You can make a free call from WhatsCall everywhere in the world including Nepal, India, U.S.A., U.K, Canada, Australia, Germany, South Korea, Japan, Malaysia, Saudi Arabia, Qatar, UA.E, Hong Kong, Kuwait, Belgium and all other more than 230 countries in both mobile and landlines. How much free talk time will you get in WhatsCall? Every WhatsCall user receives 2000+ free calling credit which means almost 30 minutes of free calling credit every day. Free calling credit and free talk time re different. For one minute talk time free calling credit might vary with the destination country you try to make a call. For example, 1 minute talk time in India need 110 free calling credit, 1 minute talk time in Canada need 1000 free calling credit.